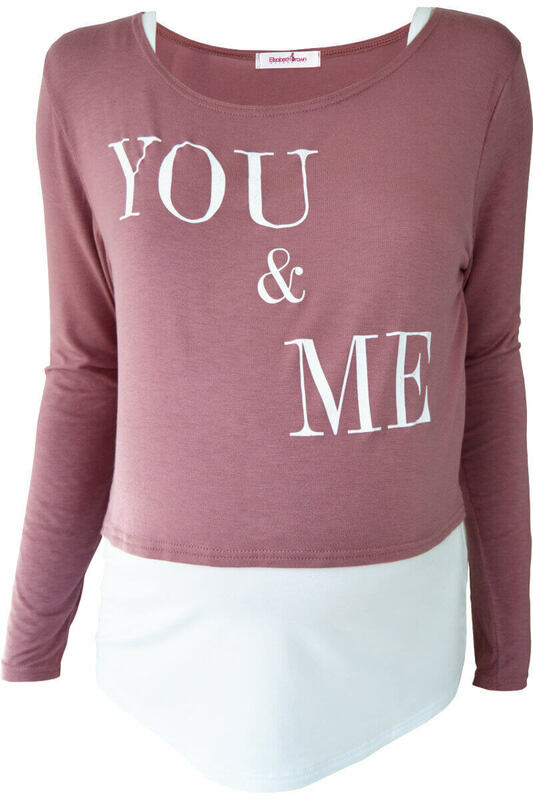 Our ‘You & Me’ Maternity and Nursing Top, launched at The Baby Show London 2017, features a white vest top and dusky pink slogan cropped top. Looks great when pregnant and works brilliantly for nursing after! Just lift the long sleeved maternity top up and pull the vest top down for easy and discreet nursing. To see the nursing top in action visit Naomi on Instagram @mebecommingmum a blogger who visited our stand at The Baby Show.